The MM-1 micro metronome which went on sale in 2002 earned enormous popularity thanks to its shockingly small size and its revolutionary usability. 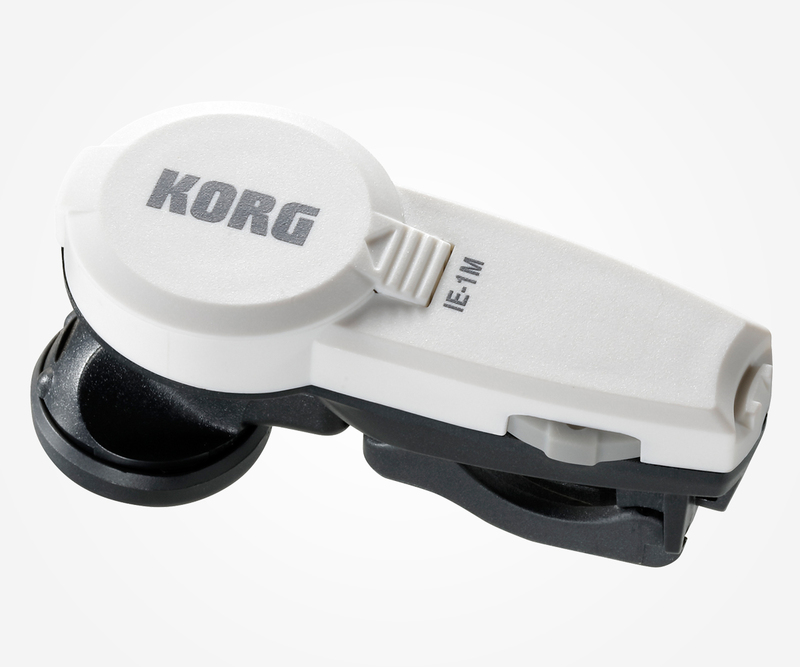 After numerous requests, KORG is releasing a new in-ear metronome with even more functionality than the original. 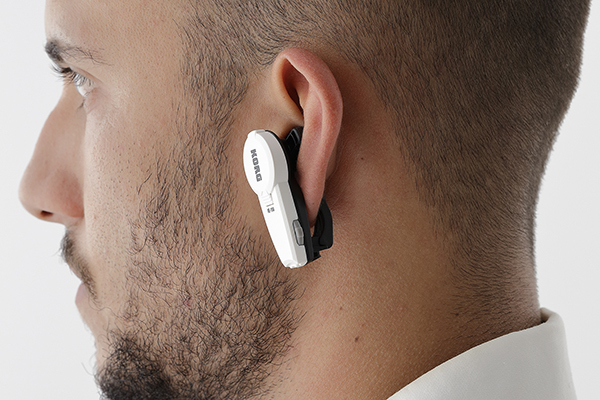 The In-EarMetronome is an ultra-small metronome that fits easily in your ear. Since you can hear the metronome sound directly in your ear without it being overpowered by sounds around you, it's ideal for personal instrumental practice. You can choose from a variety of beat and rhythm variations, and while compact, it provides a full range of metronome functionality. Tempo can be adjusted smoothly using the jog switch, while a proprietary holding mechanism ensures that the In-EarMetronome remains firmly planted in your ear. * The lineup also includes the SyncMetronome which can be used by multiple people to synchronize their tempo, the StrokeRhythm that’s ideal for golf practice, and the SyncDancing that’s ideal for practicing social dances. Choose the model that's best for you. The In-EarMetronome is a unique style of metronome that you use by wearing it directly in your ear. Since the speaker unit fits directly in your ear, it's useful not only for personal practice with any instrument, but also when you want to hear an accurate rhythm without being drowned out by the sounds of your surroundings, such as if you are practicing while surrounded by high-volume instruments. The tempo setting range is a generous 30--252 bpm, and a wide variety of beats and rhythms are provided. You can set the beat in the range of 0--9 beats, and choose the rhythm from quarter notes, duplets, triplets, triplets with the inner beat omitted, triplets with the third beat omitted, quadruplets, quadruplets with the middle beats omitted, and quadruplets with the third and fourth beats omitted. This covers your practicing needs for a broad range of songs, styles and techniques. 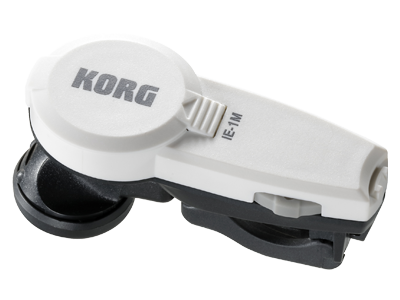 The In-EarMetronome features a jog switch on the side of the body, allowing you to easily change the settings without removing the unit from your ear. Using the jog switch you can select not just the tempo setting, but also the beat, rhythm, and volume. This provides a compact yet highly intuitive method of operation. The power button, mode select button, and an LCD display that shows the tempo and other information are located on the inside of the body. 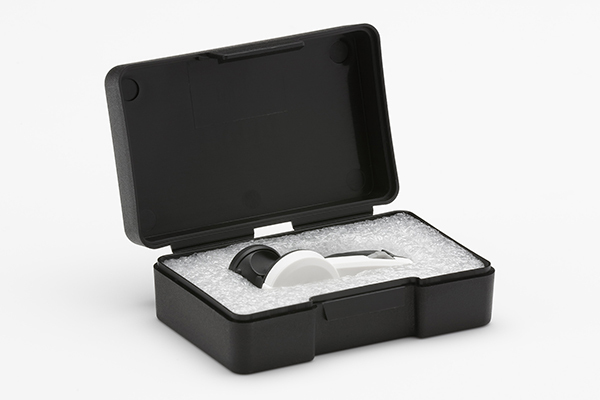 The In-EarMetronome utilizes two distinctive mechanisms to ensure a stable fit in any ear, large or small. The first is an Ear Fitter that extends from below the speaker. 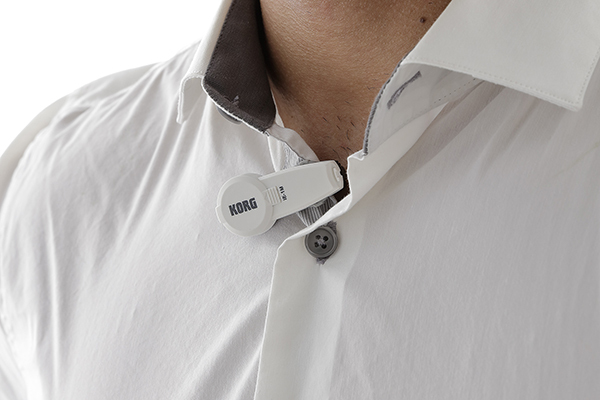 Its angle can be finely adjusted by rotating the speaker itself, allowing to fit the various shapes of ear hole. The second is an Ear Clip that opens or closes to fasten on the earlobe. The clip ensures a solid hold that will not be dislodged even by sudden shocks or vigorous movement when in use. In spite of its ultra-small sized body, the In-EarMetronome provides approximately 200 hours of continuous operation using a coin-type lithium battery. The memory backup function remembers the tempo and other settings even when the power is off. The battery can be easily replaced by opening and closing the cover located on the back of the body. 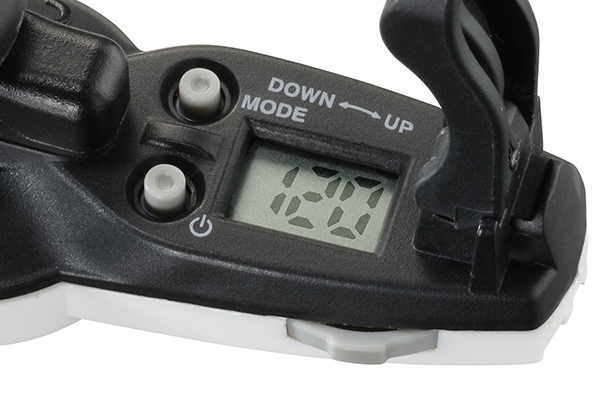 To enhance the fit, the In-EarMetronome includes a well-cushioned ear pad (*). 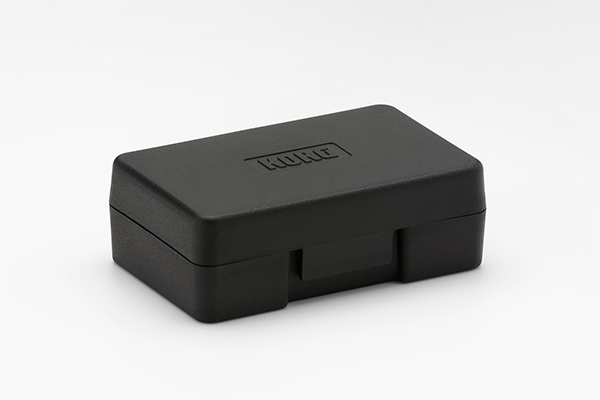 Also included is a carrying case that neatly stores the In-EarMetronome itself, the battery, and the ear pad. You can take this with you for convenient rhythm training anywhere you go. * If this is lost or damaged, you can use general ear pads (earphone diameter 16 mm). In addition to its usefulness when practicing a musical instrument, the In-EarMetronome can also enhance your exercise. For example, people who walk for the purpose of exercise or weight loss are often advised to walk at least 20 minutes at a regular pace of at least 70 meters per minute; by using the In-EarMetronome you can keep your training pace constant, synchronized to the sound of the metronome. This is a great way to maintain a consistent speed for walking, jogging, race-walking, weight training, or any other exercise.